Today was the first day in a long while, that we felt the sunshine. It was 50 degrees today - although still windy, but we couldn't pass up this opportunity to visit the park, considering it's supposed to snow tomorrow. 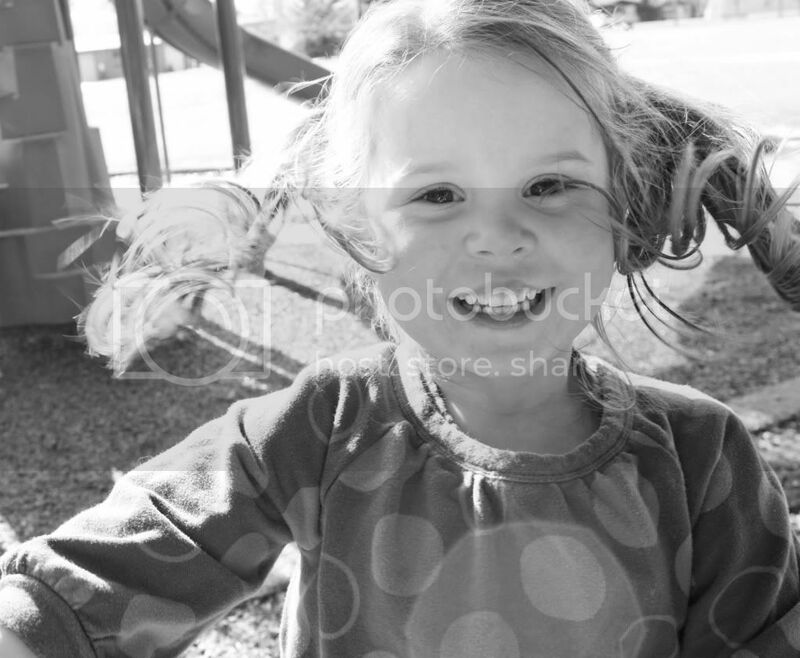 Pigtails + wind = crazy hair, but look at that smile! When we first got to the park Zoe just ran around the open field - just enjoying being outside out 1000 sq. foot apartment. We still came home a little soggy and a little muddy but it was worth it for sure! Last night I couldn't resist scrapping these photos of me and Zoe. They are some of my favorites. I used my February Studio Calico kit ,along with some extra Dear Lizzy (including that awesome date stamp) and the Studio Calico Project Life stamps -more of my favorites. I'm hoping to snag a mommy-daughter photo shoot with my dear friend Aly, sometime in the near future, so I can have lots of these fun photos. I'm pretty sure these snapshots are going to end up framed and in her room - I love them that much. We've got a low key menu for this evening, including some banana bread, which we're making for Family Home Evening, along with our lesson on manners, complete with writing thank you cards. 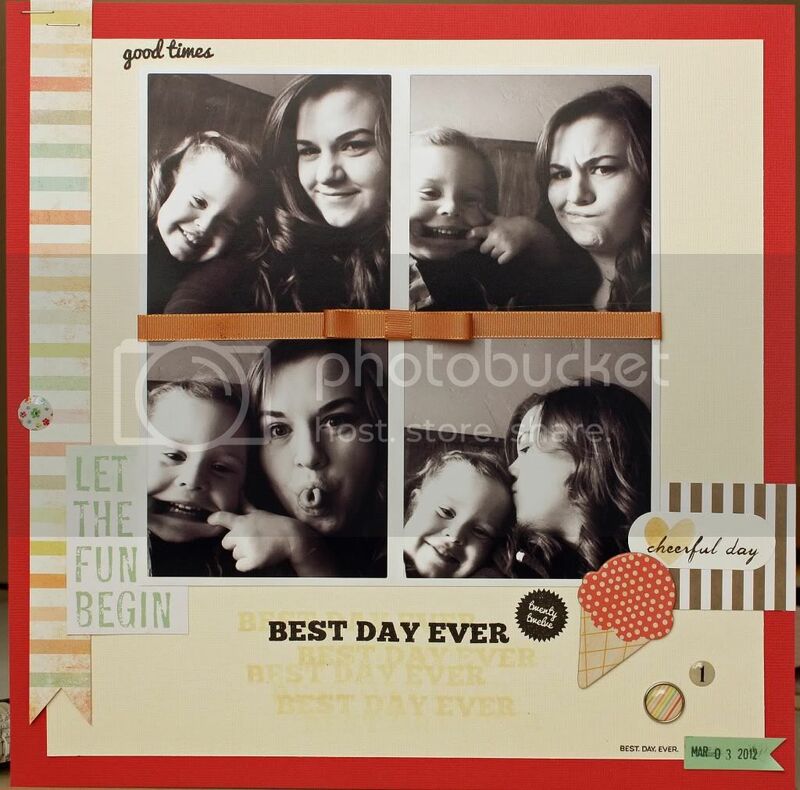 Beautiful layout - I love all the photos and embellishments!